It's been good to have the watercolors out again. 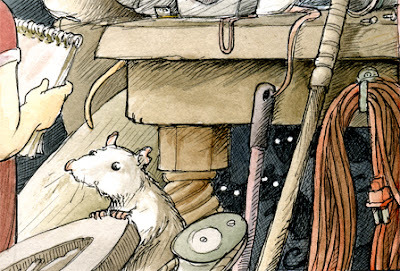 I'll post the full illustration one of these days soon -and maybe a little bit about the story. Stay tuned!